Given how deep we are in the tournament, this game was a shocking blowout with US HTN Guidelines showing their true depth with a good balance of a strong offense and defense to easily beat Opioids. US HTN Guidelines wins 7-2. In the matchup to become the Right Kidney, it was clear who had championship material, as New School wiped the floor with C3-i and Beyond! 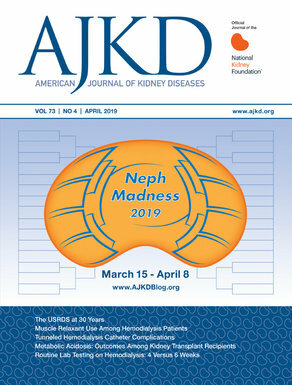 The NephMadness 2019 Champion will be announced on Monday!